Marsh Ruby grapefruits are medium to large in size, averaging 9-12 centimeters in diameter, and are round to oblate in shape. The smooth, pale yellow skin is speckled with prominent oil glands, is semi-thick, and firm to the touch. Underneath the skin, the flesh is tender, juicy, generally seedless, pale pink to red, and is divided into 12-14 segments by thin membranes. Marsh Ruby grapefruits are aromatic and sweet with floral undertones, balanced in flavor with low, tangy acidity. Marsh Ruby grapefruits are available in the winter through late spring. Marsh Ruby grapefruits, botanically classified as Citrus paradisi, are the edible fruits that grow on trees that can reach up to thirteen meters in height and are members of the Rutaceae or citrus family. Also known as the Marsh Pink and the Marsh Redblush, Marsh Ruby grapefruits are a variant of the famous marsh white grapefruit and were discovered as a limb sport spontaneously growing on a tree in an orchard in Texas. Marsh Ruby grapefruits are favored for their mild, sweet flavor and tender texture. Marsh Ruby grapefruits are an excellent source of vitamin C and also contain phosphorus, potassium, and vitamin A.
Marsh Ruby grapefruits are best suited for raw applications as their sweet flesh is showcased when used fresh, out-of-hand. The fruit can be sliced in half, the pulp sections spooned, and the small sections consumed as a breakfast item. The flesh can also be sliced and mixed into green salads, fruit salads, and fruit bowls. In addition to fresh preparations, Marsh Ruby grapefruits can be coated in sugar or honey and broiled for a dessert, made into marmalade, used in tarts or pudding, boiled for flavoring in syrup, or juiced and used as a fresh drink or mixed into cocktails. Marsh Ruby grapefruits pair well with spinach, romaine, cucumber, carrots, radish, cilantro, shallots, onions, garlic, vermicelli noodles, tofu, poultry, beef, pork, soy sauce, ginger, sesame seeds, mango, cherries, lime, cinnamon, nutmeg, cloves, and honey. The fruits will keep 7-10 days when stored in a perforated bag in the refrigerator. Marsh Ruby grapefruits are a variant or limb sport of the world-famous marsh white grapefruit. This variety was one of the first seedless grapefruits and was used to develop many of the grapefruit cultivars that are available at the market today. 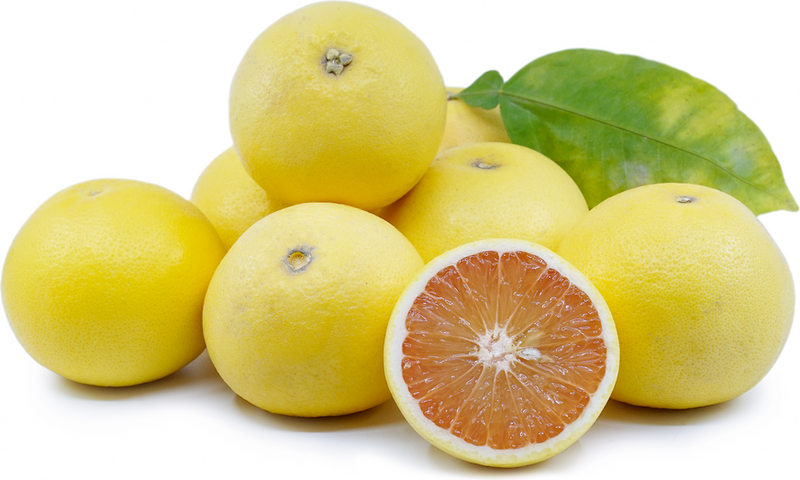 Marsh white grapefruits also account for over forty percent of Florida’s grapefruit production and are cultivated in Arizona, California, Texas, South Africa, India, South America, Israel, and Australia. The Marsh Ruby grapefruit was discovered spontaneously growing as a chance seedling in 1929 in an orchard in Texas. Today they are also grown in California and Florida and are available at farmers markets and specialty grocers in the United States, Europe, Asia, Africa, Australia, and South America. 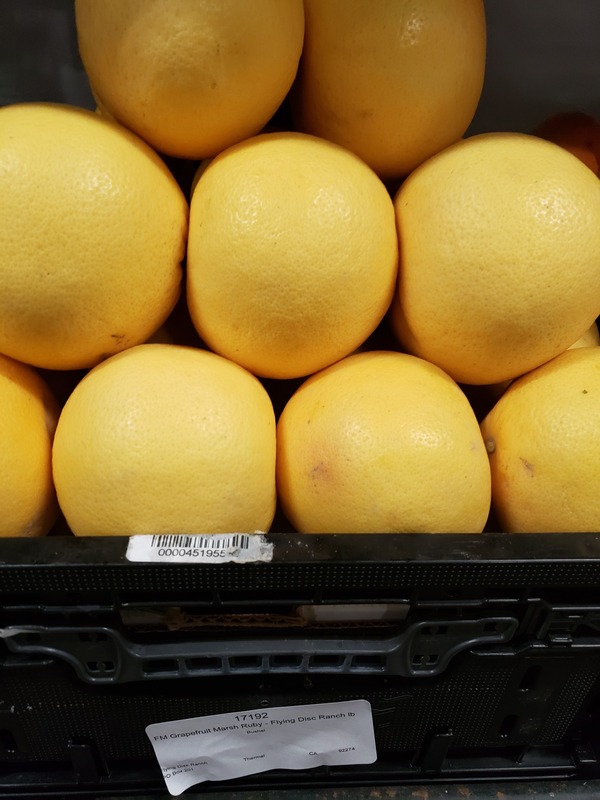 Someone shared Marsh Ruby Grapefruit using the Specialty Produce app for iPhone and Android.